The Anita Borg Institute (ABI) is a social enterprise founded on the belief that women are vital to building technology that the world needs. In 1987, computer scientist Anita Borg started a digital community for women in computing. Today, ABI works with women technologists in over 50 countries, and partners with leading academic institutions and Fortune 500 companies. 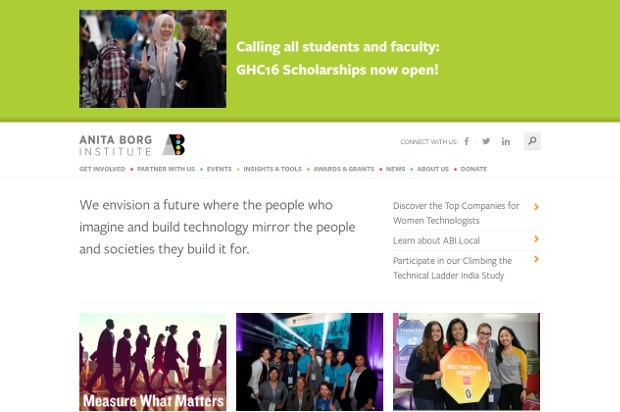 Founded by Dr. Anita Borg in 1994 as the Institute for Women in Technology, and renamed in her honor in 2003, ABI evolved from Borg’s commitment to increase the impact of women on all aspects of technology and to increase the positive impact of technology on the world’s women.